Michael and Conrad are both missing this week so it’s up to the four remaining guys to make their presence known this week. There have been a few questions asked by the desperate hordes of fans we have to deal with regarding what the guys actually do beyond sitting in a room and drinking themselves towards enlightenment. As a result, we have a handy key below so you can contact them if you like. Do it. Spam their emails with fanfiction. It’ll be hilarious. This creative round is on Justin Bourn with the support of Jacob “The Prophet” Moffitt, Travis Hayto and Matt Hanham. 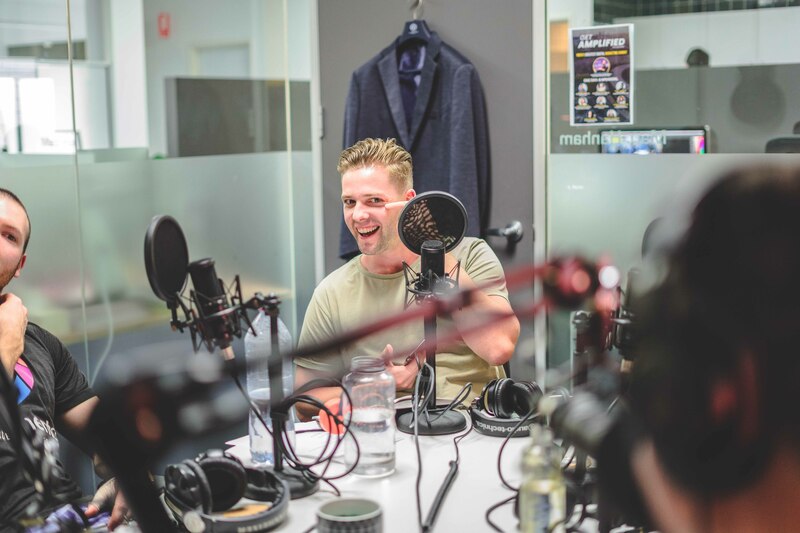 The Simple Minds Podcast unravels topics such as personal development, philosophy, life, and business - one simple drink at a time. “It’s the process of having original ideas that have value. It is a process, not random.” - Ken Robinson. Having finished sharing out some words of wisdom from some dudes who aren’t in the podcast, the guys start conversing more on the subject. The guys immediately mention the exploits of Duncan Wardle, who runs keynotes around the globe on the subject of creativity within the workplace and how to handle a group of people to maximize the level of creative output they’re capable of. A lot of this is discussed usually with the backdrop of Duncan’s own experience as a major leader in Disney’s innovation department. In essence, a lot of what Duncan Wardle speaks about largely revolves around the idea of the dichotomy between “Expansive” and “Reductive” thinking modes. Wardle, during his keynotes, will normally exemplify this relationship by interacting with a member of the audience and instructing them to adopt either a positive (“Yes, and”) and negative (“No, because”) stance on suggestions Duncan makes for a fictional event. It should go without saying that, in the modern world, the role of creativity and how that plays a part in your business is massively important in its ability to survive, and then even thrive, so knowing how to foster as much creative output from staff obviously becomes a massive issue that many a business has fallen to. Wardle’s talks go even further when we start considering the idea of “Creative Bias”, which is ultimately the idea that we’re always more open to ideas of our own creation over someone else’s. This usually manifests through the phraseology of “Yes, or” as a start to sentences, which normally has the effect of forcing an idea on others despite coming across as an agreement. Matt happily admits he does this all of the time to his clients as a way of metering their expectations and controlling the direction of their relationship with him without him having to utter the dreaded word “No”. 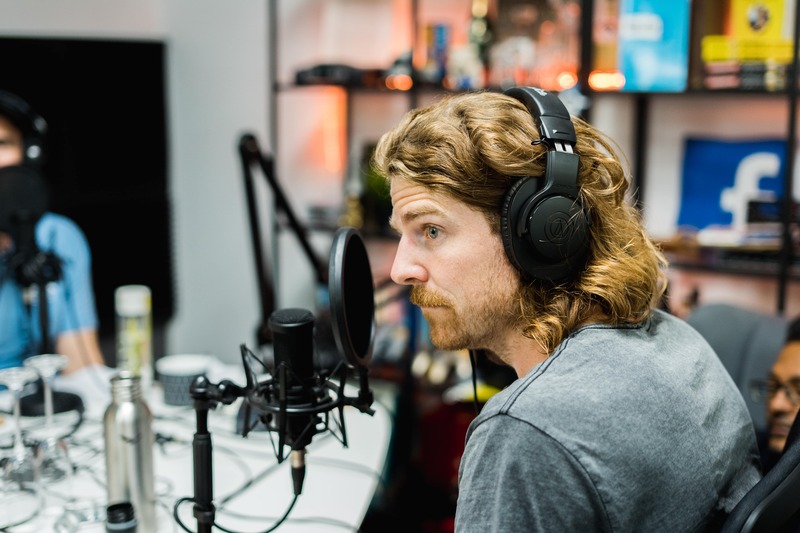 The guys refocus on the idea of creativity and how they find spaces within their daily routines (and there are a lot of those) to foster creativity. Jacob admits that he finds being in the shower to be the time where his mind is allowed the most freedom from a creative standpoint. Arguing that the fact he’s separated from various other distractions of “perusing” on his phone or tablet, as well as the nature of the “simple task” of cleaning himself, allows his mind to wonder. Yes. A “Simple Task” in the shower. One could even say “mechanical” in nature. Travis chimes in and similarly admits that he also enjoys showering as an opportunity to unwind his mind, though he also states a great aspect to running two businesses is that whilst he’s working on one, he usually has space to come with idea for the other as both allow a degree of separation from either that he can keep his mind fresh. For Justin, having spaces for creative ideas becomes especially important as he finds the act of actively trying to be creative a difficult task, and argues that ideas require a space to form organically and in the moment. Justin also mentions the technique Thomas Edison used to use when trying to capture new ideas before he could forget about them. For those that don’t know this story, Big Tom would place a penny between his knees when he would nap on a chair. Given that he believed that his best ideas usually came about just he was falling asleep, Edison would use the penny as a way to wake him up as it would fall from between his knees the moment his legs would relax. Edison would then quickly write down whatever idea he had had in that moment, probably before he would go back and try to actually have a nap again. For those uneducated swines out there, this is where the term “The penny drops” comes from when someone has a revelation about a subject or whole new idea. Edison of course, has always been historically recognized as the owner of several hundred patents for inventions, with many going on to become massively important in the development of technology in the 20th century with stuff like the lightbulb, the phonograph, and the very first research laboratory being just a few key examples. Although, Edison was also known to be a heavy practitioner of encouraging employees to be creative and innovative when faced with new problems, Edison was also infamous for his ability “acquire” those innovations from his employees and claim them as his own. (Sort of a reversed version of Duncan Wardles ideas on collective creativity.) Edison’s own story is important to remember as, despite his desire to stay innovative to a point, eventually, Edison and his company would fall to competitors (Thomas Westinghouse in particular) as a result of not being creative enough and embracing newer technologies. “If you’re a business owner, you’re creative.” - Justin gives everyone a lovely send off for this week’s episode.